It's really a thrill to hold the iPhone 6S (Plus) in hand. However, you may still stuck in how to backup your old phone data to this awesome new iPhone. Actually, it's no-barrier to transfer data to your new iPhone. No sweat, we’ll walk you through the two absolute easiest and most pain free methods to migrate everything from that old phone to the brand spankin new iPhone 6 or 6 plus. 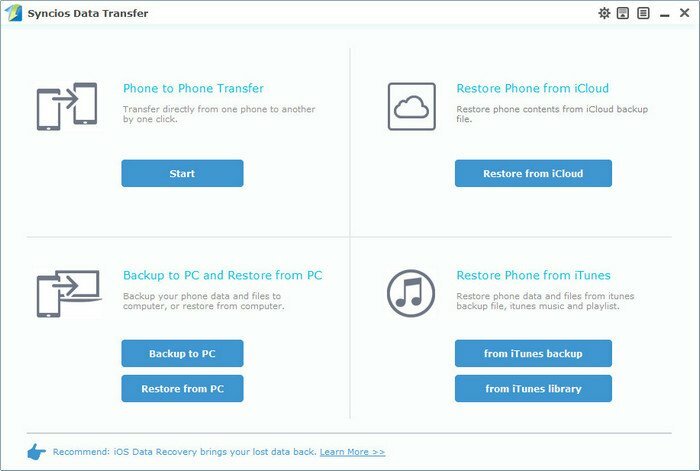 Boot the iPhone 6 or 6+ and walk through the easy setup, choose either “Restore from iCloud Backup”. Select the most recent backup you just made from the restore menu in iTunes, then click “Continue”. Install the Syncios iPhone Transfer and iTunes on the computer. 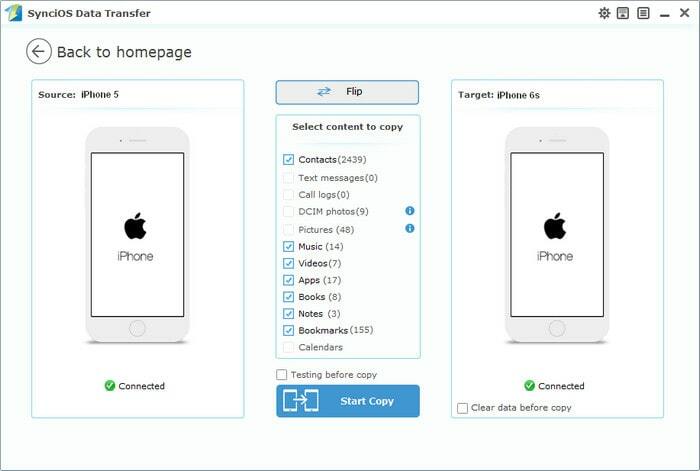 To transfer iPhone data to iPhone 6, you should click Start button to start data transfer. You'll be popped a Data Transfer window. Plug in both your old iPhone and iPhone 6 or 6 plus to computer with Apple USB cables that came with them. The two iPhones will be quickly detected and displayed in the iPhone to iPhone transfer window. You can swap positons by click the button in the middle. Make sure iPhone 6 or iPhone 6 plus displayed in Target phone position. As you see, Syncios lets you transfer contacts, messages, photos, music, video and ebooks to new iPhone 6. Just start the data transfer by clicking Start Transfer. Data in your old iPhone will be transferred to new iPhone automatically, you can check the transfer process in the interface. Depends on the file types you selected, the transfer process may take you several minutes. When it's finished, the data on your old iPhone will be transferred to your new iPhone 6 plus. > Copy device setting, app data, visual voice mail, purchased books, etc. > Backup apps, app data, TV shows, books, device settings, home screen, etc. > Transfer contents include contacts, messages, call logs, music, photos, videos, apps, notes, bookmarks, ebooks and more. > Backup phone data and restore in lossless quality. > Sync contents from iTunes Library to PC and iDevices. 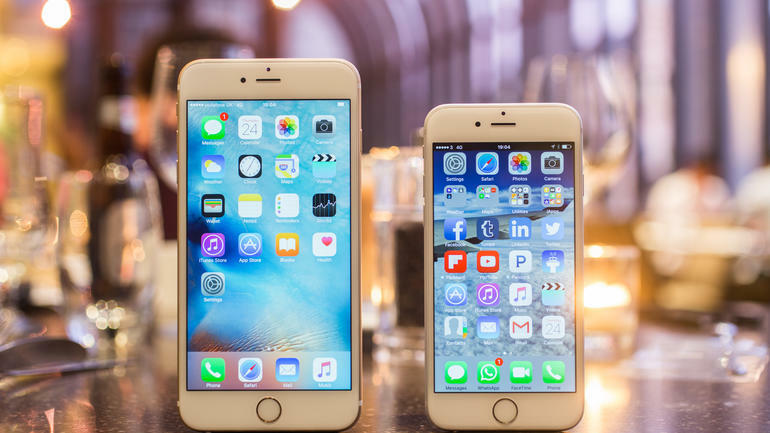 > Multiple OS supported: data shift between multiple phones run Android and iOS. > Not transfer the Photo Library & non-purchased music, movies, etc.